You wake up in your pyjamas and grab your bedside eyewear… then you choose the eyewear for your gym… then if you like to read your newspaper while having breakfast you have another pair… when you head to office, you grab your office eyewear… While you drive you use the one that helps you drive better… and for that evening out there’s a few eyewear that you need to choose from. Well, I guess we don’t do this everyday… but for those of you who do and those of you who would love to, welcome to our world of the choicest eyewear for different occasions. There’s a lot out there to choose from… from designer labels to niche brands to special materials etc and you are only limited by your imagination to mix and match your outfit, occasion, mood and eyewear. A thoroughbred professional understands the importance of casting an impression with appearance itself. And this appearance includes eyewear as well. Office look calls for simple yet powerfully stylish. And the new model by Stepper clearly fits this bill. Known as the SI-30092, this model is feather light. 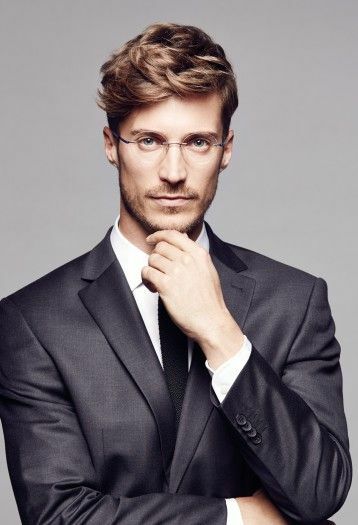 The frame is made from TX5 and Titanium combination has significant weight and strength advantages over acetate plastic and monel metal alternatives. Need we say more about the frame’s durability. There are two colour options for this model: The warm brown for those who prefer to stick to the traditional colours for their office eyewear and the other is electric purple, an ideal choice for someone who likes to exhibit the bold style statement even while heading to work. Even Silhouette has some excellent options in this category. For instance, the Silhouette Atelier Collection is an expression of passion and gracious living could make an interesting choice for the office look. Models in this collection stand out for their timelessness conveyed by precious materials and consummate craftsmanship. When going out with friends, looking uber-cool is of course high on the priority list and eyewear can help with that. Bon Vivant’s Esmeralda and Roland models are excellent options in this category. Delivering the essence of European style with chic silhouettes, upscale acetate, and ornate detailing, these rarefied models typify the elegant aesthetic. A delicate and glamorous combination frame, the Esmeralda has been made by hand from sleek stainless steel and high-quality translucent acetate. The slightly upswept silhouette of this cat-eye style imbues it with a touch of feminine flair. Bon Vivant’s new Roland optical frame has been fastidiously crafted by hand from luxurious acetate in four classic colour options—including Antique Crystal, Black Horn, Moonlight Grey Fade, and Terra Brown Horn. With its robust soft-square silhouette, the Roland appeals to intellectual and creative types alike, inserting a tinge of sophistication to casual outfits. For the males, Boss has some interesting models. The new sporty men’s sunglasses and optical frames in the brand’s Fall / Winter collection feature ultra-thin temples that are characterised by two carbon fiber layers for a light effect and feeling. The ultra-light structure and the rubber end-tips provide guaranteed comfort. The sunglasses (0949/S) are available in colours that pair perfectly with the Acetate and Carbon from which the designs are crafted. The colour range features – matte blue with blue carbon temples and blue mirrored lenses (ADV) – matte black with black carbon temples and grey silver mirrored lenses – matte dark Havana with brown carbon temples and grey polar lenses. From stylish simplicity to fancy floral, from modern geometrics to original patterns, there are so many ways to rock the trendiest styles by Dutz Eyewear this fall-winter season for that casual look. The variety in the collection reflects the season’s fashion and styles as well as the many moods of the customer. 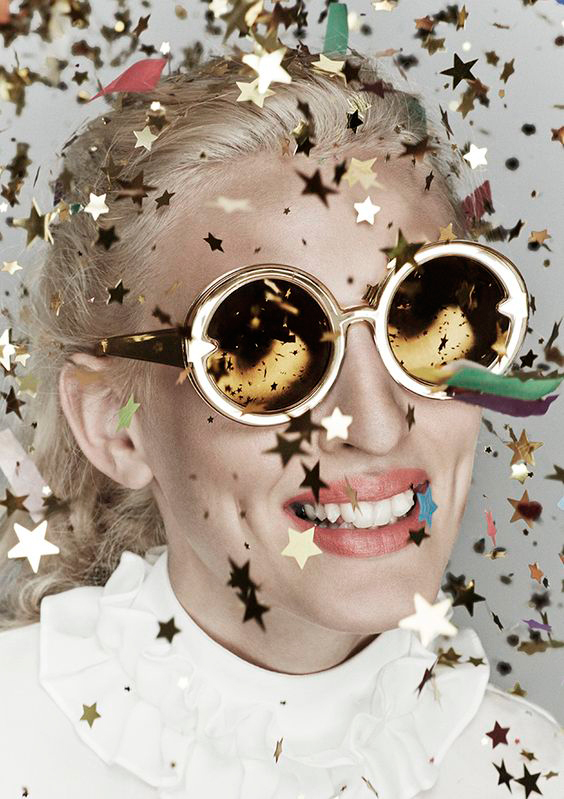 Eyewear not being a part of the party look is a thing of the past. Today, there are some really interesting options in eyewear even when it comes to the party look. The model is Raf Simons’ highly anticipated debut of Calvin Klein 205W39NYC eyewear, which uniquely highlights the new Chief Creative Officer’s artistic and curatorial perspective of the brand. These statement pieces are artfully conceived by combining delicate materials and finishes with negative space and colour blocking. Each of the unique new styles is designed in the company’s global headquarters at 205 W 39 Street in New York City and made in Italy. Another excellent example is the new collection by Budri. 15 exclusive pieces from a unique marble quarry from the very land of Udaipur! Each frame is produced from a large slab of marble or a solid block, depending on the stone’s confirmation. Carefully selected and analysed with the aid of a sophisticated scanning system, the stone is then eroded to obtain a convex parallelepiped, from which the initial shape is extruded in a specific sequence of processes. A special fibre, patented and engineered by Budri, gives the front and temples greater strength and lighter weight. The collection consists of five models, includes different surface finishes: ‘Brillante’ for glossy marble, ‘Seta’ for the matt version or ‘Tempo’ for a tactile allure – combined with small hardware in three shades: matt black, gold and silver. Clearly, Budri’s new offering comes with new designs and outstanding colour variants, ideal for the glamorous party look. 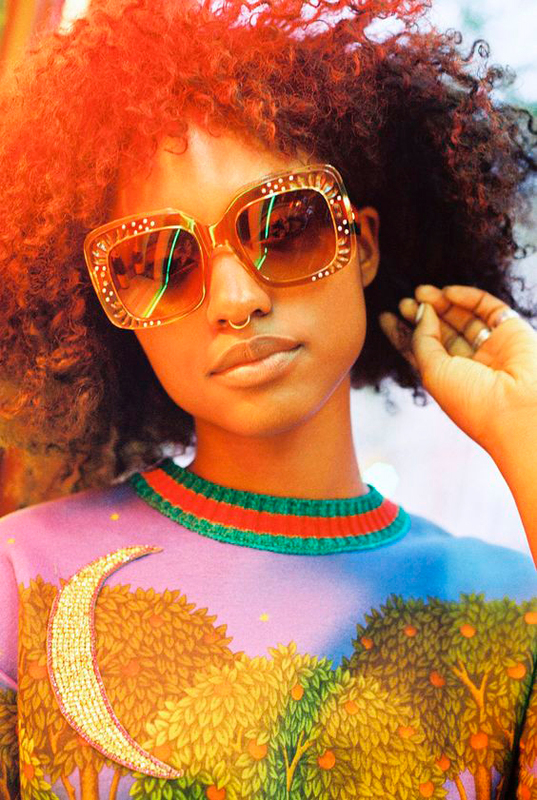 So, when it comes to eyewear, the number of options for every look is plenty. Investing a little effort can ensure that people find the perfect option to amplify the glamour quotient in their style statement. In the next edition, we will take you through some more interesting eyewear for different occasions. Till then, stay tuned!